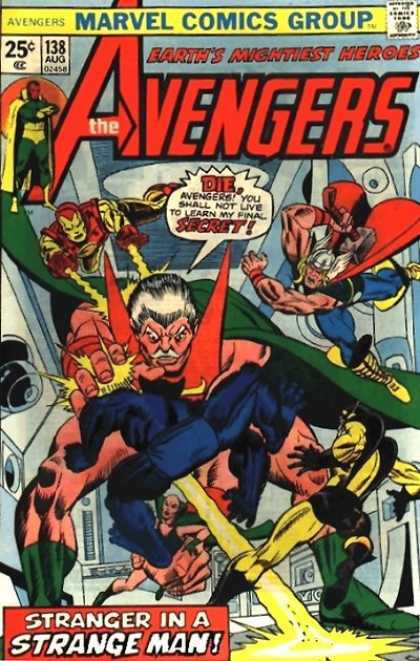 What was the first comic you can remember reading, or the first to make enough of an impression on you that you do remember reading it, assuming that you were reading comics as a wee little kiddie? Bonus if you can find the cover on CoverBrowser or some similar site and link it in. The first comic book I remember reading is one whose identity was a mystery to me for many years; I only knew I'd read it in the pediatrician's office when I was very young. There it was, in a loose pile with random issues from several years of Highlights. 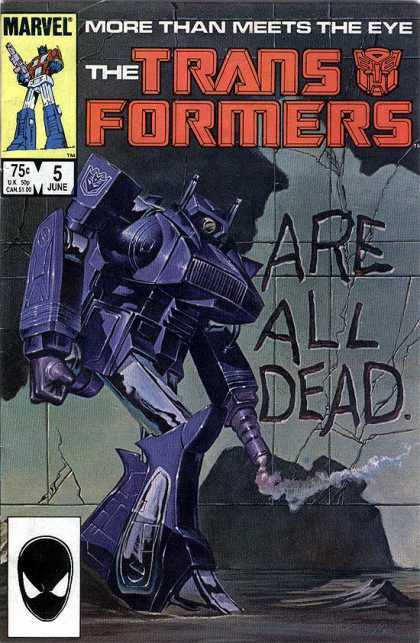 There may have been other comics there that day that I also read, but this is the only one that I remember. I don't even remember how old I was or why we were at the doctor's office that time, though given that I could read it, it was probably sometime between 1976 & 1979. One of the main impediments for tracking down that issue later on was that the only things I could remember were a blue furry guy who could change into Al Capone, a short guy with an orange suit and a collar of grey tabs around his neck who could bounce off the walls, a big guy with white hair, an angular white mustache and a weird outfit, and a large red alien with wavy lips and tentacles. And, while I don't normally have a true photographic memory, I definitely did have a photograph in memory of the page with that red alien. When I got into Marvel comics later in life, through kateshort, I guessed it was probably some early issue of Giant Size-era Uncanny X-Men, once I figured out that the first two of those characters were Beast and Toad. But then we completed our collection back to Giant Size X-Men #1, and it wasn't in there--and the previous issues of Uncanny X-Men before GSX#1 were published so much earlier the chances of any of them still being in the doctor's office by the time I'd've been there were slim. After that, I repeatedly read "Superman from the 30s to the 70s", "Secret Origins of the DC Heroes" (the earlier version sans Martian Manhunter), a "Wonder Woman" archive, an omnibus collection of early Buck Rogers strips, and most of the Nostalgia Press collections of Flash Gordon strips--as my father had bought those around the time they came out. Those are what I consider the most important and the most formative "nostalgia" comics for me. I also read some Archie comics (the Spire version) and Disney comics a friend down the street had. 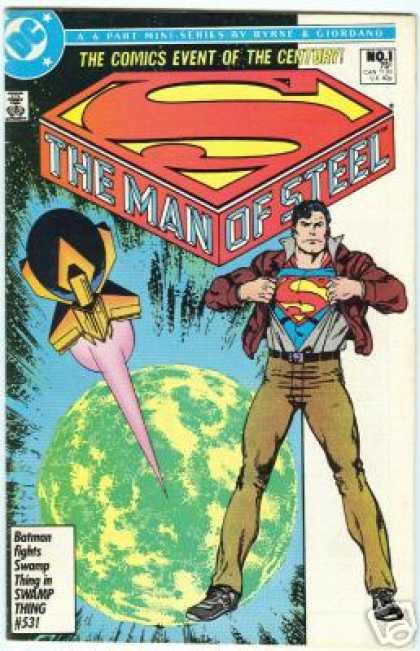 However, what truly got me hooked on reading monthly comics as they came out was John Byrne's 1986 relaunch of Superman with Man of Steel #1, and, that same year, being allowed to read a family friend's copies of Transformers #1-25 or so--especially Transformers #5. That love of comics is one of the things that let me to kateshort, so I'm very, very glad for it.